BA, CH Stepping Stones Hypnosis Ltd. 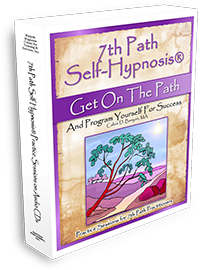 The 7th Path Self-Hypnosis® System is A Mind-Body-Spirit Approach that combines the benefits of meditation with the power of self-hypnosis to help you make good positive changes in your life. Distance learning course.